Hope everyone is enjoying a safe and fun labor day, try to keep the mustard stains off the kicks. Since we’re back to the 1st & 15th for new mask releases I thought today would be a good day to unveil a mask previously only seen in my first art book, “Army of the Undeadstock” (Now sold out everywhere), and this particular mask also just got back from being on tour with Sneaker Pimps in Brazil and Mexico. 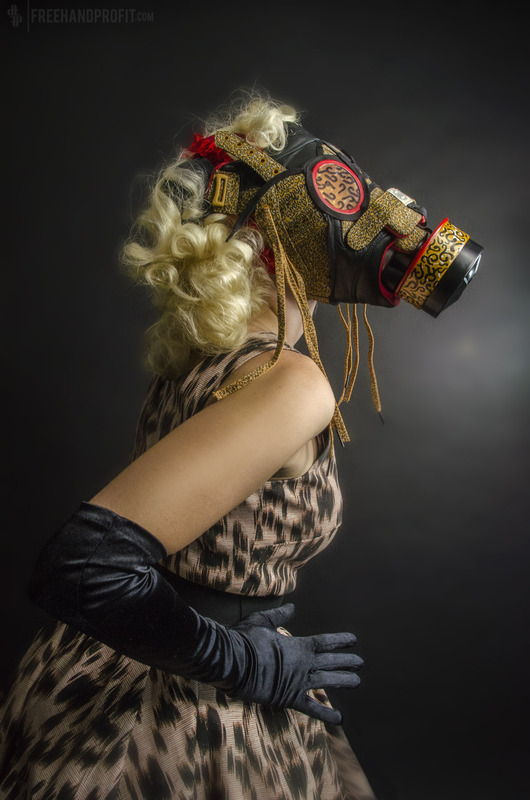 The adidas X Kara Messina Pro Shells Gas Mask was my answer to wanting to work with animal print shoes. I wanted to look for a unique use of leopard print on sneakers and in 2012 Kara Messina (Menswear Designer aka Y’OH Streetwear) delivered with these adidas Consortium “Your Story” Pro Shells. 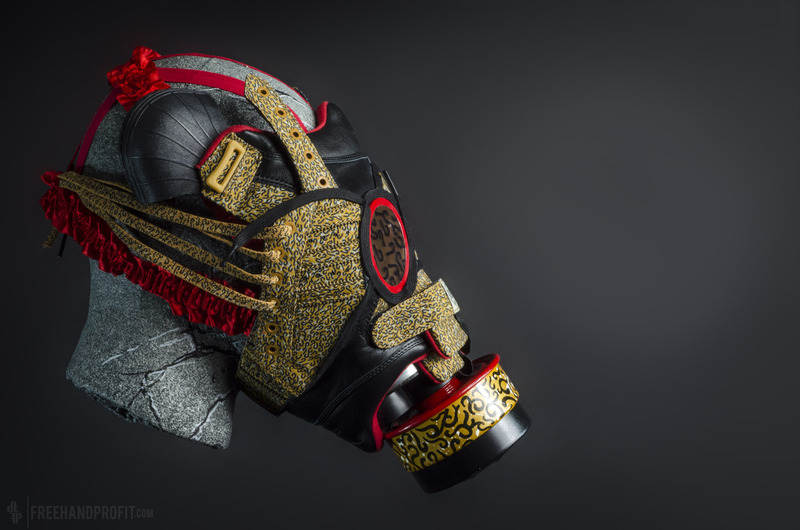 This was the 34th sneaker mask, even for me it’s incredible to see how the masks have evolved. My girlfriend at the time, now my wife, Betsy VanDeusen modeled the mask and brought some retro style to a more feminine mask. Don’t forget to hit up the Labor Day Sale at Freehand Profit’s Official Online Shop! Click Here to hit the online shop!